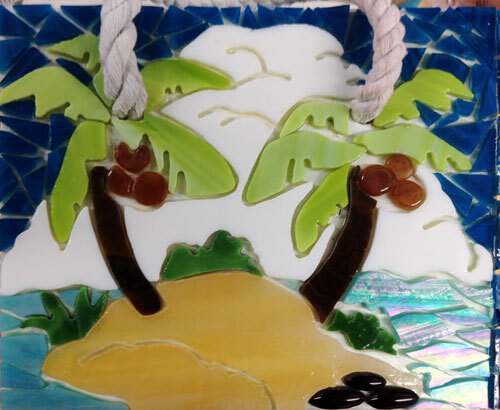 Join Brenda as she shows you how easy it is to create mosaics for mounting vertically or horizontally without the mess of thinset or mortar. 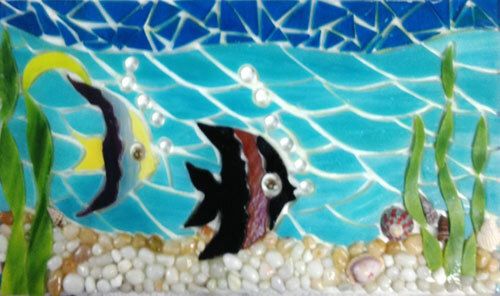 In this class you’ll create a 6″ x 6″ mosaic on Streuter’s Q Stik adhesive that can be mounted on a variety of surfaces at home. work across the United States. Brenda enjoys mixing different techniques to come up with unique designs. 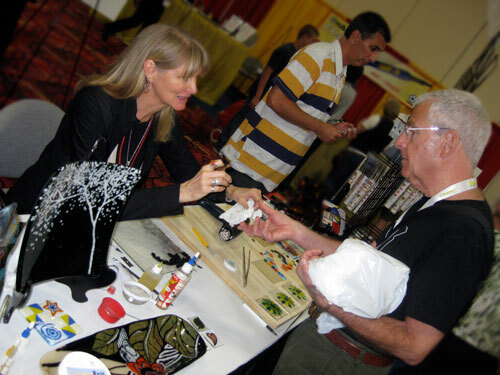 From painted fused glass pieces to saw cut stained glass and dichroic glass, Brenda puts her personality in her pieces. 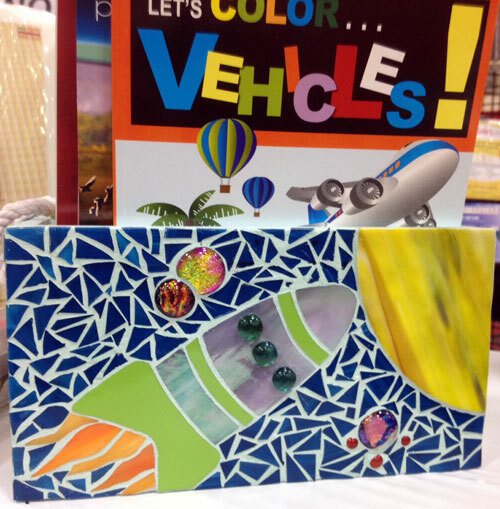 Her children’s art box was made using No Days Q Stik Mosaic Adhesive. She created four panels and then mounted them on each side of the box. After all the panels were assembled, she grouted, then finished by filling the creation station with coloring books, markers and more! 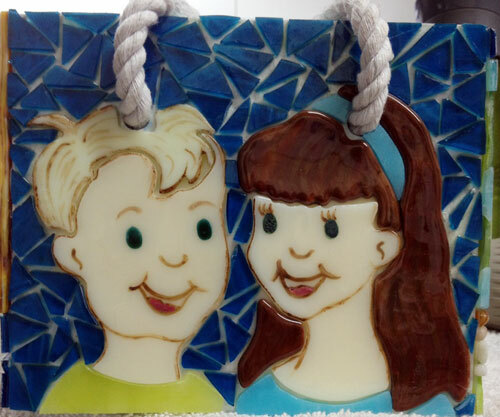 Painted and fused glass children adorn one side of the box.